"We must surrender our hopes and expectations, as well as our fears, and march directly into disappointment, work with disappointment, go into it, and make it our way of life, which is a very hard thing to do. Disappointment is a good sign of basic intelligence. It cannot be compared to anything else: it is so sharp, precise, obvious, and direct. If we can open, then we suddenly begin to see that our expectations are irrelevant compared with the reality of the situations we are facing. This automatically brings a feeling of disappointment. Disappointment is the best chariot to use on the path of the Dharma." --Chogyam Trungpa, Cutting Through Spiritual Materialism, included in The Buddha is Still Teaching: Contemporary Buddhist Wisdom, selected and edited by Jack Kornfield. It's getting to that time of year, when the air carries a chill, the sun has packed up at 5PM, and a persistent desire rises up in me: to finally make a pie crust. Pies are a staple in my husband's family. At my mother-in-law Teena's house, it's a ritual to have apple pie and pumpkin pie at both Thanksgiving and Christmas. She also makes Tourtiere, a savory French-Canadian meat pie made with pork and beef and served with cranberry sauce. The weekend before the big feed, Teena and my niece Meagan whip up about a dozen pie crusts, then wrap them in plastic and put them in the refrigerator to chill. Later my mother-in-law will fill them and bake them until the tops come out a warm cinnamon color. I have always been secretly envious of women who excel in the domestic arts. I say secretly because my generation was one of the first to benefit from equal rights and my ambition in school was to be a writer and editor working in a city and eating out most nights. But I also wanted to be married, sew frilly skirts, and make pie. I liked the trappings of my mother's generation, but without the boredom and repression. Marrying a full-time job with a flair in the kitchen didn't seem to be out-of-reach for me. I had never learned to sew because it's hard to teach a left-handed child to do anything involving a sharp object, but I had spent all of my childhood watching my mother bake. She was a stay-at-home mom until I was 11, and it was important to her that I have the kind of mother she didn't have--someone who baked cookies in the afternoons, read to me every night, and sewed cotton, hippie-style blouses that made me a fashion plate in the late 1970's. The first few times I saw my mother-in-law make pie, I was inspired. My husband warned that making pie crust was "a black art" but I would not be deterred. I bought myself a beautiful red ceramic pie dish from Williams-Sonoma that I brought to my in-law's house and showed off to everyone. My mother-in-law had the same set of tin pie plates from thirty years ago, judging from their residual scratches, dents, and scorch marks. She started by making a crust herself so I could see all the steps and get a sense for what I'd be doing. Unlike me, who always uses a recipe, she was able to eye the ingredients and intuit the measurements like a seasoned detective scanning a crime scene. Her movements were fluid, her hands strong, especially when she vigorously rolled out the dough on a dish towel. "Don't handle the crust too much because it will break apart," she said. I didn't think much of this comment at the time. When it was my turn, I moved slowly, hesitant. I must have been lulled into a state of oblivion when she was demonstrating the steps, because I couldn't remember any of them. I asked her question after question, a pesky fly buzzing around her as she tried to start the next pie crust. She had been a professor so she was used to remaining patient with remedial students like me. When it came time to roll out the dough, I poured a mountain of flour on my surface and started to shape my crust. I could never seem to get an even, circular shape--my crust looked more like an amoeba. I lifted the dough into my hands and mashed it together into its original lump to try again. Then I remembered what she said about not handling the dough too much. I felt like I was a contestant on Jeopardy, competing against a Harvard student and stuck with a faulty buzzer. More flour, than slap! the dough was down for the count and I was rolling against the clock. ZZZZZ! Time's up. My mother-in-law was kind, mentioning something about how her first pie crust was a disaster (I doubted it) while she stepped in to repair the damage my over-zealous pounding and rolling had caused. There were scraps of dough under my fingertips, flour in my hair, and disappointment in my heart. The following pie season I was back in my mother-in-law's kitchen. This time we were joined by my 14-year-old niece. While grandmother and granddaughter rolled out beautiful crusts which they delicately draped in the pie tins, I was trying to peel off the pieces of dough stuck on my rolling pin. I didn't want my teenage niece to see me cry. Too late. My cousin Mikki, who also makes pies around the holidays, reassured me that she used pre-made Pillsbury pie crusts from the supermarket. "No one knows the difference so why knock yourself out?" she said. But it was more than a matter of saving time. I felt like I had set out to prove I was a capable woman, able to make the dough at work and at home, and I had failed. My beautiful ceramic pie dish gathered dust in the kitchen cabinet. 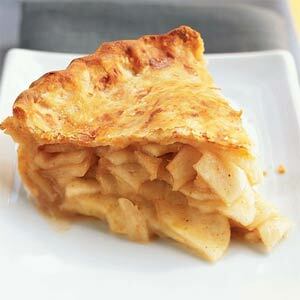 Now that it's coming on pie season again, maybe I'll give it another try--third time being the charm and all. But if it doesn't come out right this time, I know where I can get a ready-made version. No one but my mother-in-law will know the difference. Yesterday I drove by myself to run some errands. So what, big deal, right? For me it is. I haven't driven a car by myself since 1992. I had been putting this day off ever since I got my license renewed in Boston and started practice driving with Mike. The good thing about driving solo was at least if I crashed I wouldn't be dooming my innocent passenger to life as a paraplegic burn victim. It helped that I was up in Maine this Labor Day weekend, where there are still two-lane roads--one going North, one going South--and that apart from a few testosterone-addled guys in pickup trucks, people are generally friendly to other drivers. On part of my ride from Fryeburg over the Maine/New Hampshire border I encountered no other cars at all. I signaled anyway and stopped at every Stop sign, checking for non-existent traffic. I was a grown woman hoping for a gold star from the DMV. At one point an old 10,000 Maniacs song came on the radio and I turned it up and started singing. I noticed that in this moment, I was having FUN. Why had I let myself be intimidated for so long? The Toyota RAV I was driving used to belong to my father. He clocked in 173,000 miles on it commuting back and forth from Central New Jersey to Manhattan. For a year in 1996 I commuted with him. At the time I wasn't an early riser but my father would get up at 3AM, drink his big cup of espresso, and, suitably wired, wake me at 4:30 with a fake bugle call. In the car I'd be trying to sleep, one hand clasped over my ear, while he'd play his CDs of Spanish balladeers. I'd wake up slowly and with hesitation as these soulful singers belted out the one word of Spanish I had learned on these same car trips. El corazon. The year of commuting with my father was also my first year working in Manhattan. I was the assistant to a Chemistry books editor at John Wiley & Sons when its headquarters were still in New York. The job itself was dull, but I didn't care because I had achieved my goal of working in the editorial department of a New York City book publisher. The interview process for my first publishing job was as scary as I had anticipated--me in my little Ally McBeal suit, hurrying down 6th Avenue with copies of my one-page resume pressed in a plastic folder under my arm (1992-1995: part-time bookseller at Rutgers University Bookstore--praised for my creative end cap displays.) For the first time I was seeing the inside of publishers like Simon & Schuster and St. Martin's Press. I was so eager to be a part of this world I had imagined--of three-martini lunches and long editorial talks with famous writers in my book-strewn office with a view of Central Park--that I was willing to take a position in the mail room if I had to. Luckily it didn't come to that, though I did have to spend 18 months interacting with chemistry professors. My father liked to start his day early, so we'd typically be entering the Lincoln tunnel around 7:00AM. I loved those mornings when we'd get into Manhattan and the sun was shining. The city was literally beaming down on us. Dad would drop me off across town and I'd walk the extra blocks, pausing to look into dark store windows, then stopping at a little coffee shop near my office to savor that first sip of my cappucino. Now that I was awake I was excited at the prospect of a new day. At 5:00 I'd take NJ Transit back to my parents' house or my dad would swing by 605 Third Avenue and we'd get takeout while he waited for the rush-hour traffic to die down. At the end of the day, it was nice to come back to the familiarity of sitting in the car and eating chicken and rice or a slice with my father. But now that those commuting days with my father are past, I miss them. He used to work long hours in the construction business and commuting together everyday was the most time I ever spent with him when it was just us. I was finally getting a taste of what my father's life was like when he wasn't at home with my mother and me. We both share a love of nice restaurants. I remember feeling so pleased when I would go to one of his favorite spots and then tell him about it. We enjoyed making each other jealous. "Guess where I am..." one of us would say on our cell phone, while the other would make the requisite sound of delight spliced with envy. My parents still live in New Jersey, and I only get down to see them every couple of months. My father doesn't commute to New York anymore; he's got his eye on a different life now--retiring to a cabin in Vermont. 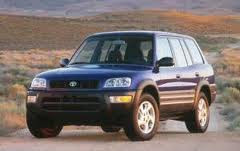 But driving his old RAV makes me feel closer to him. It's got 260,000 miles on it and now I'm the one behind the wheel. "My friend Kelly says that when she listens to the news she hears so much conflicting information she can't truly reach a conclusion about anything. Usually we see this as a problem. Our inability to reach conclusions makes us feel ignorant and helpless. We feel pressured to sort it all out. I'm having my friendly visit with Linda, the older woman who is disabled and lives alone. We have just settled into the "comfortable chairs"--two big, green, puffy chairs that you sink into when you sit down. We're talking about religion. I had discovered several visits ago that I could talk religion with Linda and not worry about offending her. I'm agnostic, and though she believes in God, she hasn't found a religion that's stuck. Not that she hasn't tried. Years ago she converted from Christianity to Judaism. The town we live in is home to many Jewish people--in fact, at the end of my street you can find a kosher grocery store, several delis, a Jewish giftshop, a bookshop, and several Asian restaurants. Linda became an official Jew, but her hard work did not translate into instant acceptance. She perceived the other members of the synagogue did not accept her as Jewish. She felt slighted by her rabbi. She was way past the age for a Bat Mitzvah. So she quit Judaism and became Episcopalian. Christianity she understood. Once a month a member of the clergy would visit her apartment to give her communion, a bonus because it meant that she could count on another visitor to come regularly. She gets lonely a lot. But right around the time I started visiting her, she was complaining about the priest. "She left her communion box here and now she won't pick it up! She says she's transferring to a different church. What am I going to do with this--I can't throw it away, it's sacred." I wondered why she didn't just store her keys in it, or some throat lozenges. And then there was the time she called the church to offer them a desk chair to give to a family in need. They picked it up, but when she called them later to see if the chair had found a home, no one seemed to know where it went. "It was a good chair," she assured me. "And now they don't know where it is? I should have kept the darn thing." I looked around her small apartment. If there was one thing the place was not lacking, it was chairs. She had enough seating for a Thanksgiving Day service for twelve. The final straw was when they lost her monthly donation check for $10. She was on the phone for hours trying to find out who had the check and why hadn't they cashed it yet? "It's been two weeks!" she told me. "And the woman who answered the phone was so nasty and dismissive. She told me the priest might have it somewhere on her desk and then she cut me off. For all I know she's using my check as a bookmark." From there she joined the Baha'i faith. They too misplaced her donation check, but she stayed with them because she had made a friend in the community who visited her and took her out to buy New Balance sneakers and sheets from IKEA. They also prayed together, and Linda found the Baha'i prayers comforting. But it was only a matter of time before she was questioning her chosen faith again. "What happens when I die and my brothers have to plan my funeral? They're not going to say Baha'i prayers! They won't know what to do. No, I should go back to Christianity--it'll make the funeral go much more smoothly." I told her that if the Baha'i prayers were comforting, she should continue to say them. But now she had a conflict. She had recently joined the Church of the Nazarene because she heard they had great prayer groups. She was excited to report to me that two members of the church had already visited her and brought flowers and Nazarene paperwork. But then her mood darkened, and she said, "I did call one of the ladies after their visit, to invite her to come over again, but she said she was going to be busy all of September. She wasn't as nice on the phone as she was when she was here." "Can I stay a Baha'i and also be a member of the Nazarenes?" she asked. "What if my Baha'i friend finds out? She'll stop visiting me." So long, afternoons at IKEA. Then she paused and said, "Am I just being wishy-washy? Shouldn't I just pick a religion and stick to it?" I was taken off guard by her sudden insight. 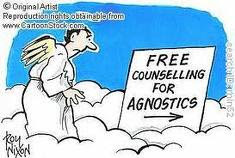 I often think that my agnosticism is wishy-washy. I was brought up Catholic, but dropped out after my confirmation party at Bennigan's (perhaps the ubiquity of shiny things on the walls had me hypnotized, but more likely it was because I was turning into a sullen teenager who believed in mopey rock stars rather than a faceless God.) Since then I've been back to church for weddings, funerals, and the occasional Christmas mass, but it's always in respect for other family members. I no longer feel that I fit in there, even if I can "pass" because I remember all the words to The Lord's Prayer. When I'm in church I never know if I should go up and receive communion, and feel guilty when I remain in the pews while everyone around me starts lining up. Would they stare at me with slits for eyes and think, look at that naughty girl! Does she think she's too good to accept the body of Christ? Then again, maybe I'm projecting some apparently unresolved guilt about abandoning my childhood faith. The more I read Buddhist books, though, the more I'm convinced that it's OK not to be a member of any tribe, not to choose a side, not to reject one faith for another. I do admire people who have the comfort of faith and religion--not to mention a ready-made set of friends who'll bake them a pie when they're sick. After all, what comfort can I take from Buddhist philosophy? Life is suffering and then you die? I'm joking, of course. I realize Buddhism, like any philosophy or religion, is complex. Not knowing is scary, but for some people it feels more honest to question than to pick a side and stick with it for life. Things change, people change, the world is complicated and there are many opinions on what's right and wrong. It can take a lifetime to even skim the surface of the mysteries of the universe. Being uncertain but staying open to possibilities--that's the only way I see myself living right now. Linda is also searching, but for her there's the added element of giddy anticipation--like starting a new class and buying the textbook and pencils. You haven't read through the book yet, but it's exciting just to imagine what you'll learn. Never mind the serious work of actually studying and retaining knowledge. The promise of a new way of life, new friends, a new set of beliefs...that's enough for her. Until that check doesn't clear.